Owen Paterson MP has warned that not delivering the Brexit that "people voted for" would result in "shock and disillusion with the whole political establishment". 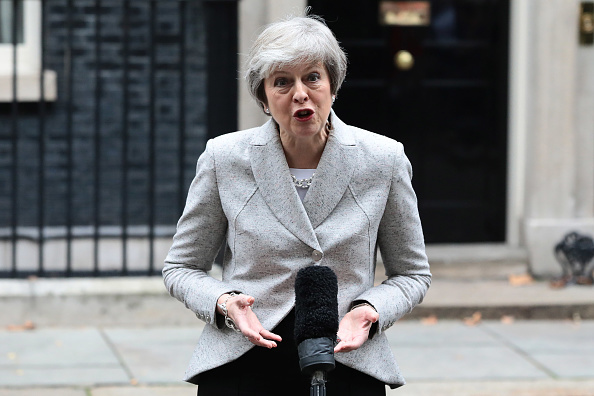 Appearing on the breakfast show, the Conservative MP claimed a statement delivered by Theresa May yesterday about the Brexit deal was a "country mile" from what the public wanted. "The shock and disillusion with the whole political establishment if this is not delivered will be appalling. Really, really damaging. That is a deadly serious threat to the whole of our political processes," he told Julia Hartley-Brewer. "It's a really, really bad deal and I'm absolutely going to vote against it." The MP claimed the deal proposed by Ms May was a "complete contravention" of the 2017 Conservative manifesto, in which it was promised the UK would leave the single market and the customs union. "This deal is actually worse than where we are, because at the moment we are in the room, one of 28. "We did stop some of the really stupid things from happening working with allies, sometimes Germany, sometimes it was the Hungarians or whatever. "We won't be there anymore. The law will be cooked up by the 27, not restrained by us, but it will be imposed upon us." He added that it was important to "honour" the outcome of the Brexit vote, and ruled out a second referendum.